Hello and welcome to another Mattel Cars 3 1:55 scale diecast review! Today I'm taking a look at Daniel Swervez, the next generation Octane Gain racer. As far as looks go, this is one of my all time favorite racers across all three Cars films and this diecast is very well done. I just really dig the "next-gen" design and his indigo and shiny gold color combo (plus, he has a pretty awesome name ;). As shown in the screenshot above, Daniel's most notable appearance in the film is when Lightning goes looking for Bobby Swift, only to find that he's been replaced by this next generation racer. "Name's Danny bro"; it's a line that stuck for some reason and my nephew and I quote it all the time! 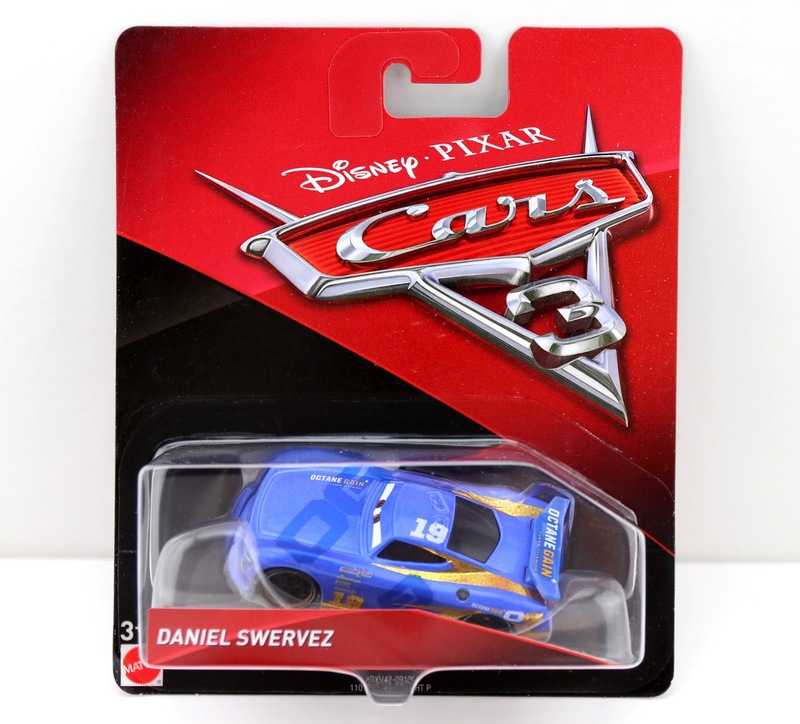 Note: There is a packaging variant out there that states his name as "Danny Swervez", rather than "Daniel Swervez." The "Daniel" version I have here came first, but it seems that was considered an error by Mattel (which makes sense). I guess they felt that since the character introduces himself as "Danny" in the film, a correction with the proper name on the card was necessary. It doesn't appear that one is more rare than the other. Fun Fact: Daniel Swervez is voiced by real life Nascar racer, Daniel Suárez. Daniel has already been released in several multipacks in addition to this single pack, so he's by no means hard to come by at this point. 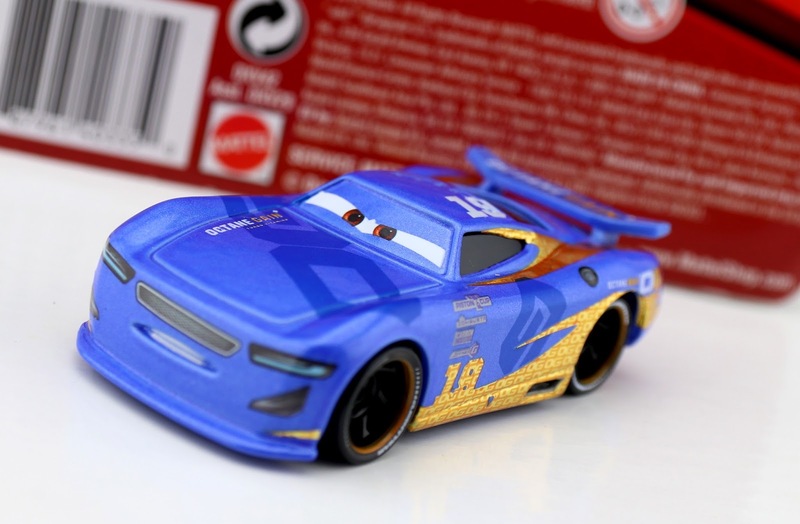 You can find him in a Walmart Piston Cup Race 5-pack, a Target Race to Win 4-pack and a 2-pack with Jackson Storm. I believe those are all of his current releases, but I'm sure there will be more ways to get this character in the near future and for years to come. He seems pretty popular. Be sure to check your local Walmart, Toys R Us or Target [etc.] for availability! Or you can snag him online on eBay RIGHT HERE or Amazon using the link below. Let me know your thoughts below and happy hunting out there!